Of the three types of association with Sporting Clube de Portugal, Supporters' Clubs are the most recent edition, having come about at the end of the 20th century. However, they have since spread across the globe and are the most innovative way to bring together the Club's fans. The idea of Supporters' Clubs became a reality with the writing of the Club's 10th Statutes (in 1984) and can be defined as a group of Sporting fans who come together to organise themselves in support of the Club. Many Supporters' Clubs also take part in sports and recreational activities. Sporting currently has more than 240 Supporters' Clubs, in what is a clear example of Alvalade's global reach. Highlighted on the world map, the Supporters' Clubs are a link, thousands of kilometres long, between those who share the same passion. 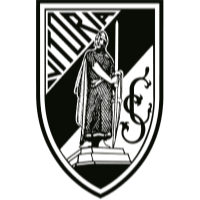 Supporters' Club nº1 is Solar dos Leões de Almada, founded in 1969. Decades earlier, Júlio de Araújo (who would go on to become Sporting President) proposed the creation of Affiliates and Delegations as part of a project to remodel and expand the Club. Affiliates (currently 100 around the world) are other clubs who associate themselves with Alvalade. While being autonomous, these clubs are crucial in the Sporting Clube de Portugal's expansion. These is not a corner of Portugal, or even on any of the five continents, where you cannot find a Sporting Affiliate. 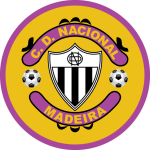 The first club to take on this role was Sporting Clube de Tomar, Affiliate nº1, in the beginning of the 1920's. Some Affiliates are even national champions in their respective countries, such Sporting de Bissau, while others stand out in their sport, such as Sporting de Pombal (futsal), Sporting da Horta (handball) and Sporting das Caldas (table tennis). Delegations are sports, cultural and recreational institutions which represent the Club's interests in the areas where they exist, bringing together the fans from a variety of regions. Sporting's 14 Delegations are spread from the Algarve to Porto and can also be found in the Azores, Rio de Janeiro and New Jersey. They represent the Club's universal footprint and speak for more than 3,000,000 fans.